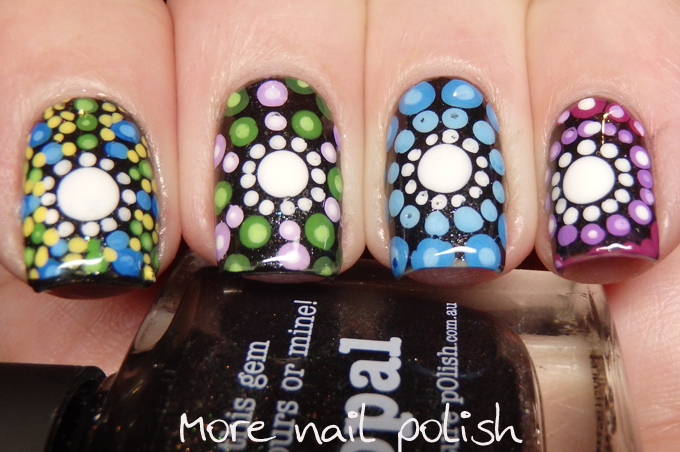 A few months ago, Tam from @ohmygoshpolish posted a dotticure that was inspired by artist Elspeth Mclean. If you are not familiar with her work, do yourself a favour and check out this google image search. Elspeth paints of various materials, but is particularly known for her stones, all hand painted with different combinations of dots - they are stunning. 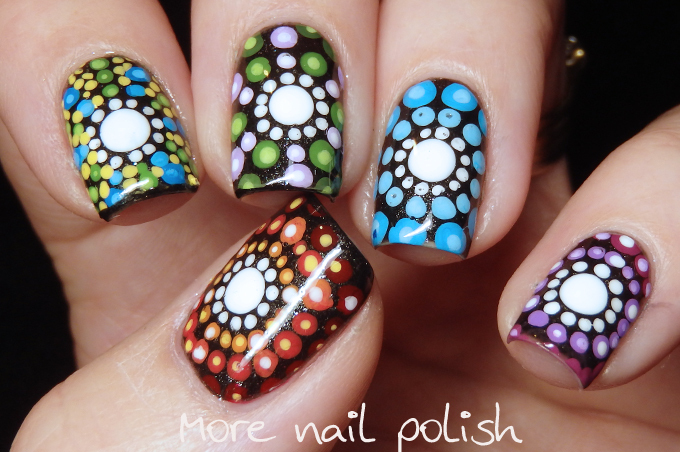 I was inspired by her to create this skittle mani of different dot combos. They didn't end up looking like her stones unfortunately, but they were colourful, and dotti - which means I met the challenge brief. I created the dotti designs on my Uber Chic mat, which is Uber awesome. 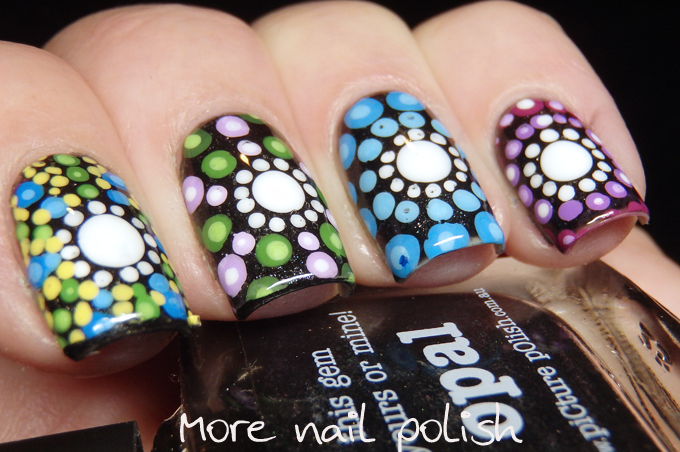 I used some of the Picture Polish dotting tools to get the various sized dots. 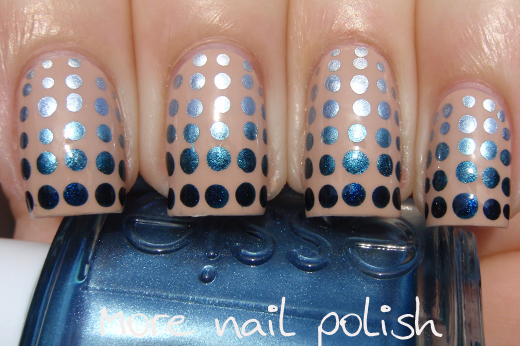 My Polka dots nails from 2013 and 2014! Beautiful! I also know that artist's work and this is an awesome way to celebrate her work. 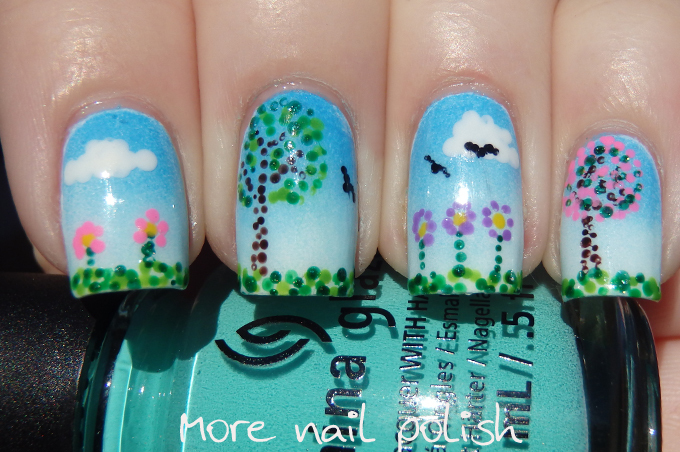 I love this mani, it is perfect. 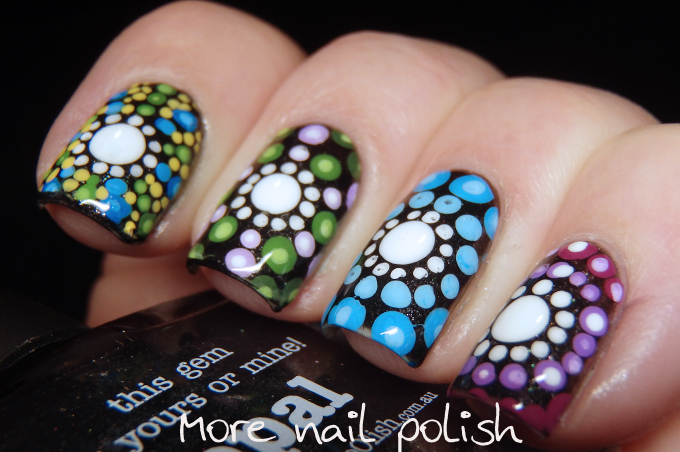 This is a gorgeous mani and the uber chic mat is soo cool! First purchase on next payday!! I have to admit that I kinda squealed when I saw your nails! I love her work - want one of those stones SO bad, even though I know it will never happen. You did such a fantastic job with this enterprise. I love your mani! 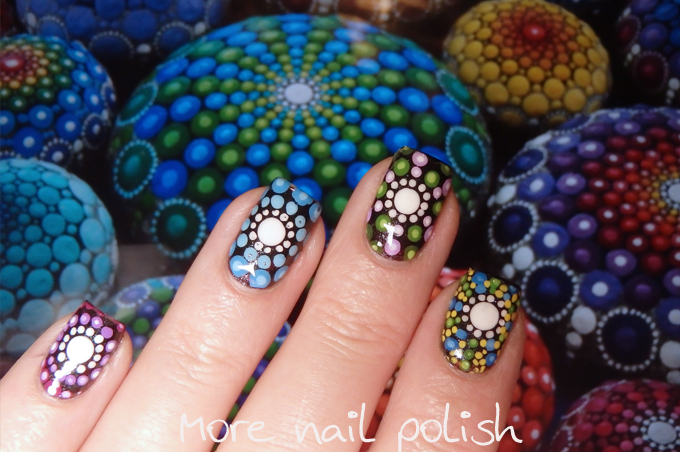 The manicure is just as awesome as the inspiration! Makes me sad to think you might've only worn it for a day! I'll have to check this mat out. 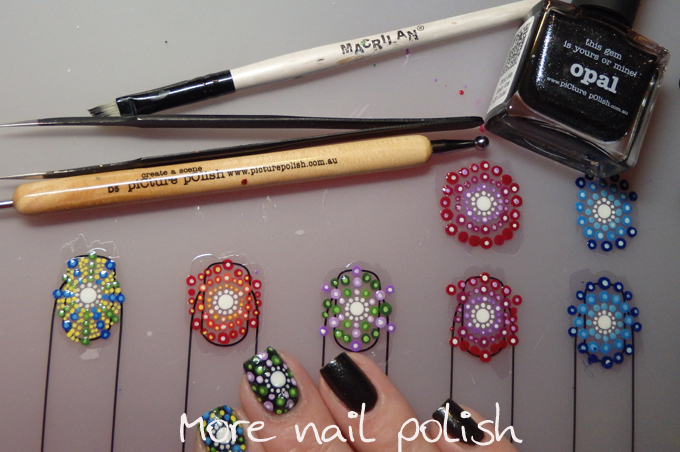 Is it for the purpose of making nail appliqués? Now this is something I might just be able to do. Hehehe. Just gotta look up the instructions now. Lovely!! I wish I had bigger nails so I could fit more of a design when I try to re-create her looks!